A combination of a treasure hunt + a city quest + an interactive tour and a cool event for your company. Our treasure hunt is a perfect combination of entertainment, technology and local culture - and a great team building activity! How do our treasure hunts as team building activities work? Our treasure hunts are an excellent and exciting way to discover Barcelona. The participants will form several teams and compete with each other on their city investigation. The captain of each team will use a smartphone to get clues and respond to the riddles - and the players will need all their attention for the things that surround them that of course will boost their teamwork. Our routes include orientation, text and photo challenges, riddles about the surroundings - monuments and buildings. And in the middle or the end of the route, we can enter to some bar where the teams will discuss their experience having a rest and a drink. In the end, the winners or all the participants (as you like) will get prizes! What is the location of our hunts? We have several routes around Barcelona that are perfectly customizable - we can change the ending location, add some meeting point for the teams in the middle, combine two routes that are in the same neighborhood, add questions about your company, enter to the local markets or some bar - wherever your imagination and budget take you! Why do a treasure hunt for your team building? Urban treasure hunt allows working and collaborating in a team in a very informal, playful fun way. Gamification generates positive emotions among the colleagues and has become popular instrument both of marketers and HRs all over the world. And Barcelona streets are the best scenes for the event, with so many secrets and hidden gems that even the people who live here all their lives will find something new during the interactive game. Get out of the office, change the everyday scene, explore the wonderful Barcelona, all this will ensure a fun and memorable experience. During the hunt, we will challenge your capacity of observation, improving the communication in the group and mutual understanding! The hunt develops social and logic skills and ability to solve problems in an unusual environment. All this will stimulate and enhance the productivity of the team. 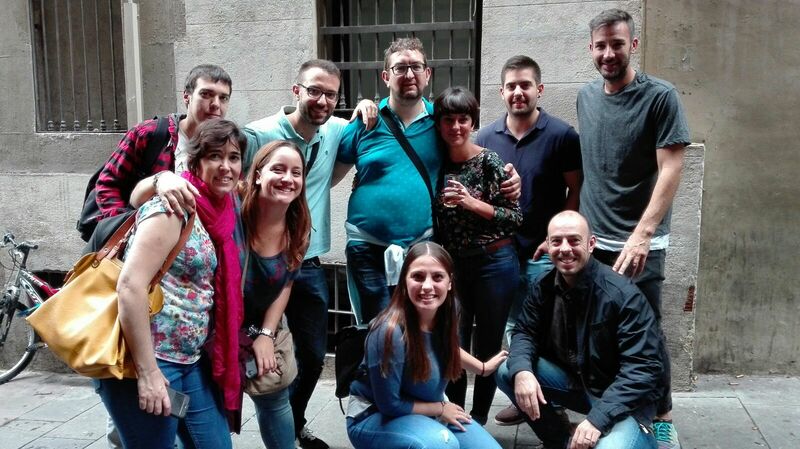 Organize a great adventure for your colleagues in Barcelona with an interactive treasure hunt!